I definitely found during wedding planning that it was easy to get carried away with the more glamorous parts of the day and ignore some of the basic necessities. One basic necessity involves the realisation that us humans are just animals and people + champers = need for the little boys room. Often. Those of you having a marquee / DIY wedding may have to consider creating toilet arrangements. 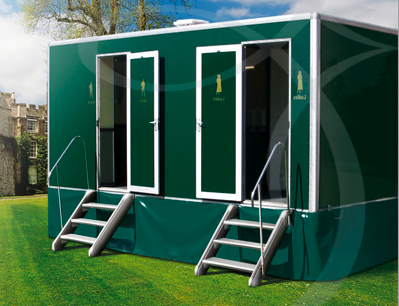 Never fear though, no need to drop the wow factor of the wee factor if you opt for a luxury portaloo. Not only can you go luxury with your loo, if you use a supplier like Elegance Toilet Hire, you can also pay extra to have an attendant sit in all day to help your guests dry their delicate hands. What other things do you consider to be the “bare necessities” of wedding planning?